Because I’m a Disney fan, I couldn’t help but start comparing the characters from The Blades of Acktar to Disney characters. Then I realized that would probably make a fun blog post. 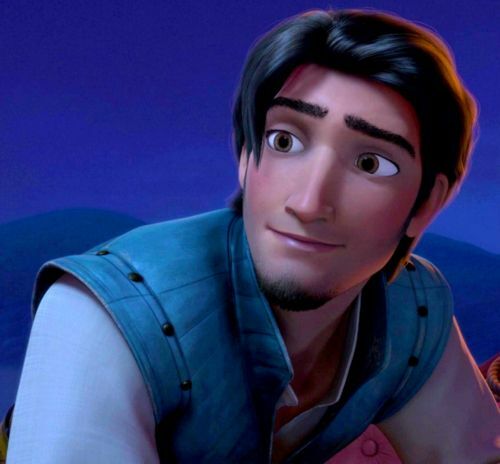 I wasn’t sure who to go with at first for Leith, but I finally settled on Aladdin. Both Aladdin and Leith are orphans defined by the situation they find themselves, even though they are secretly a sweetheart deep down. 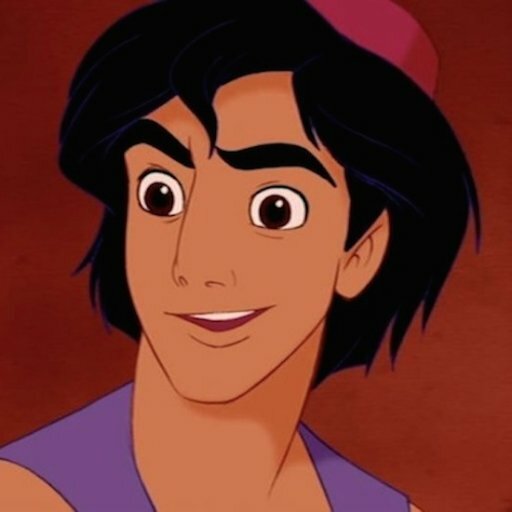 Aladdin, though, has a tendency to be more cocky than Leith, but Leith has a few moments. They both risk a lot over the love of a girl. If Leith was in a Disney movie, he would be the outlaw who ends up on the right side of the law by the end, and tries his best to pitch in with all the singing even if he doesn’t always know what is happening. Shad is SO Li Shang it isn’t even funny. 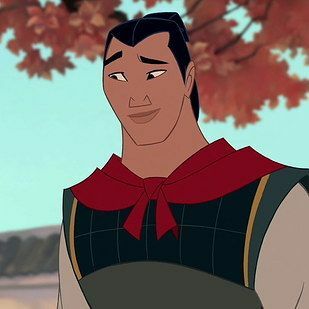 Shang is a by-the-books sort of guy. He looks up to his father yet also struggles to be his own person while living up to his father’s staggering reputation. Sound a bit familiar? Yeah, that’s Shad all the way. If Shad was in a Disney movie, he would be the Disney guy who doesn’t even think it’s weird that everyone is singing. That’s just what good Disney princes do. You probably guessed this one. Of course Martyn is Eugene. They both adore sarcasm, have a bad attitude about pretty much everything until they finally start to warm up to it, start out as very reluctant heroes, but end up sacrificial in the end. And, yes, if Martyn were in a Disney movie, he would be the guy in the corner going “I don’t sing” with his arms crossed exactly like Eugene. Like Eugene, it would also take holding him at swordpoint to connvince him otherwise. This one was probably my hardest to decide. I decided Kristoff in the end because both Jamie and Kristoff are the sort of guys who go great lengths for their friends without asking or expecting anything in return, especially if the girl doesn’t see them as more than a friend. They both find their families through being more-or-less adopted into one. Jamie, though, tends to be a bit cleaner than Kristoff. If Jamie were in a Disney movie, he probably would be the goodhearted side-kick more than anything else, but he would be great at harmonizing with all the other singing characters. Renna especially reminds me of Cinderella, especially as portrayed in the 2015 version. Not only does Lily James look a lot like how I picture Renna (except that Renna has straight hair and blue eyes), but the whole “have courage and be kind” motto is pretty much Renna’s motto. Both Cinderella and Renna are strong because they are kind to those around them even in difficult circumstances. They are even kind to those who hurt them. It is that kindness that attracts them to others and helps them triumph in the end. If Renna were in a Disney movie, she, of course, would have a great singing voice and wouldn’t think twice about all the musical numbers she’d have as a Disney princess. Another tough one. Brandi could’ve been Mulan, since she runs off to fight like Mulan does. 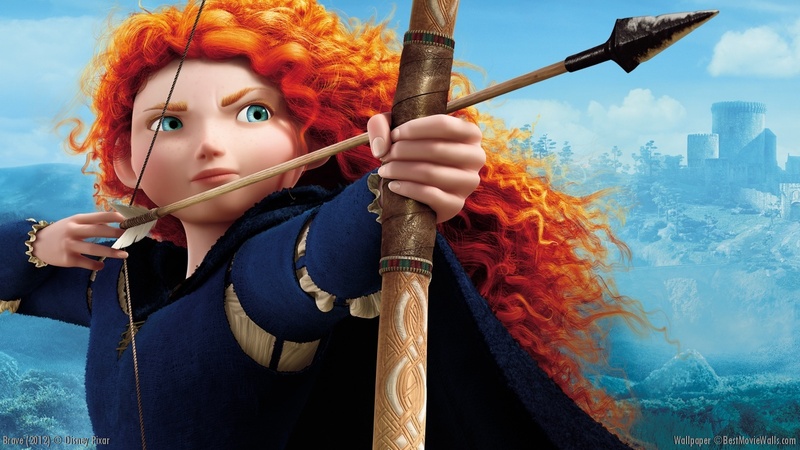 Or maybe even Merida from Brave. But I think Anna best captures Brandi’s personality. Both are very spunky, lively, appear naive, and do a lot of growing. Both look after their older sisters. Both end up fighting when pushed into a corner because they are feisty like that. Both tend to say the first thing that comes to mind without always thinking it through. If Brandi were in a Disney movie, she would spontaneously burst into song. She might, however, be slightly off key and singing a totally different song from everyone else. Jolene was the hardest one to pick. I know, I’ve said they were all hard. But even I didn’t get to know Jolene as much as I would’ve liked in the books. All her good scenes ended up getting cut in revision. 😦 But, I finally decided she was most like Merida. They are both good at archery. Both have very formidable mothers that they love but don’t always understand. Jolene’s mother, though, tends to encourage Jolene’s archery skills more than frown on it. And Jolene would’ve loved to have three little brothers (even if they were terrors) like Merida. If Jolene were in a Disney movie, she probably wouldn’t do much singing. She doesn’t have a great voice. But she would pitch in and do what she’d have to do. Both Kayleigh and Mulan are very tough girls who know how to wield a sword and don’t always fit in with the regular society around them. They do what they have to do to survive while always holding on to their femininity even while dressed in trousers and swinging a sword. In the end, they both figure out how to be both a warrior and a girl. If Kayleigh were in a Disney movie, she probably would be singing while she practiced with her sword. So there you have it. The Blades of Acktar: Disney version. It would be one messed up Disney movie, especially since, if you were keeping tracking, Shang ends up with Merida, Aladdin falls in love with Cinderella, and Eugene has a thing for Mulan. The only pairing that matches the Disney movie is Jamie (Kristoff) maybe in the future MIGHT end up with Brandi (Anna). What do you think? 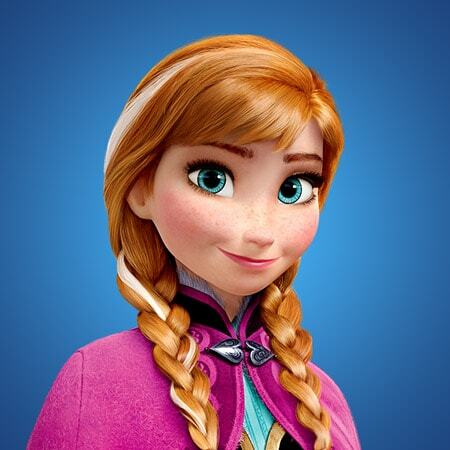 Do you have any other characters who would match Disney characters? Think a different Disney character should match these Blades of Acktar characters? This is so fun! I am sad that I know know all of these Disney characters as well as I should but I loved this post. Just good fun! *Correction, I think I missed “not”- do not know all of these characters. 🙂 Sorry about the typo. Omg i just saw this! This was so fun! I love how Martyn is Flynn… just…. yes ❤ to read about these characters again is like breathing in fresh air! I'll never grow out of loving this series!! !